Edible insects are great alternatives to conventional sources of meat as they’re cheap, plentiful and excellent sources of protein and fat, as well as vitamins and minerals. 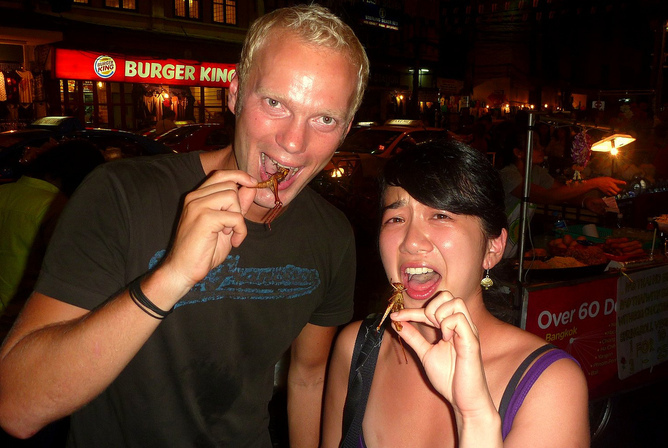 In many countries, eating insects doesn’t raise eyebrows. How palatable they appear to a person is largely determined by culture. Analyses of insects also show huge variation in nutritional value and composition – between species, their stages of development and even due to the insects’ diet. With around 2000 edible insect species worldwide, those below are some of the better alternatives to eat.